This year has been a busy and exciting time for our club as we boost our numbers. We’ve had several new members join us in the last couple of months, and we hope to welcome several more in the new year. We have many fresh ideas and projects to work on in 2015, and we’ll be constantly keeping an eye out for people in the community who deserve recognition for their good work, or who might make good Rotarians themselves. If you know of someone who fits into either of these categories, get in touch and let us know about them! We won’t be meeting over the Christmas break, but we’ll be back in action from Monday 5th January 2015. This first meeting will be at the usual time and place, 6.30pm at the Belconnen Soccer Club in McKellar, and we will be hearing a brief talk from a number of members. It’s a good opportunity to learn a bit more about each other, and guests are very welcome. Please use our Contact Us page to let us know if you’d like to come along. Until then, have a very Merry Christmas and a Happy New Year. Be safe, be loving, and be happy. Students (and teachers & a parent) from Gold Creek and Amaroo schools attended our meeting on Monday to tell us about their World Challenge experiences in Cambodia and Fiji. Read more about it in the latest edition of The Key, by clicking the link below. Enjoy! World Challenge gives students life skills through life experiences. Travelling abroad, they learn planning and preparation, complete a physically challenging trek, take part in a community project, and finally enjoy some rest and relaxation. If you are interested in learning more about World Challenge school expeditions, click here. 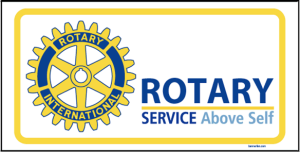 Here’s the latest news for Gungahlin Rotary Club. Click on the link below and enjoy!